All Finlandia material packages are made to order. Our precut packages are intended for use in a space that you have framed and insulated. Anyone with a general carpentry experience can build a Sauna out of your FPC parts. Supply us with your interior stud to stud dimensions and we will supply all of the interior room parts. Nail our 1” x 4” tongue and groove boards to your studs: our boards will run horizontally. 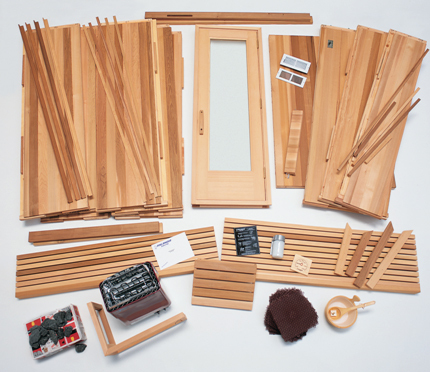 We cut the material and build parts to fit your room: we don’t just supply a pile of lumber and unassembled pieces. 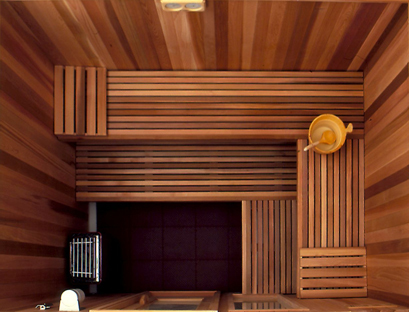 Our prefab Saunas are engineered with effortless and fast installation in mind, and can be installed on any level, hard-surfaced, waterproof floor. Our unique interlocking design makes other modular systems obsolete by comparison. Electrical hookup is made easy because all electrical conduit is sealed within the walls, and control box (where necessary) is premounted. 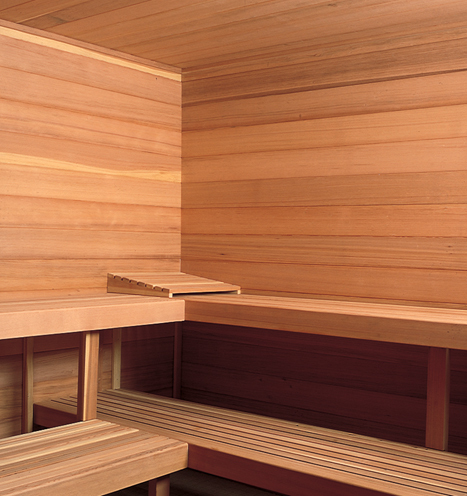 Engineered for highest economy, with an R value of 13.5 (exceeding other modular Saunas on the market). Our prefabs are also designed with 2 vents to allow a natural exchange of air for comfort and fresh air supply for the bather. Our Finlandia prefabs are not only designed for the best function and eye appeal, but are manufactured with “old country” craftsmanship – we craft each room like a fine piece of Scandinavian furniture. Our Custom glass door designs are hand etched by an artist. Each is a Uniquw piece of artwork, no two designs are exactly the same. 27 1/2" x 82 1/2"
While standing outside of the sauna faceing the door, the hindges are on your left. While standing outside of the sauna facing the door. The hindges are on your right. Add a work of art to your Sauna with Finlandia's Exclusive Etched Sauna Doors! 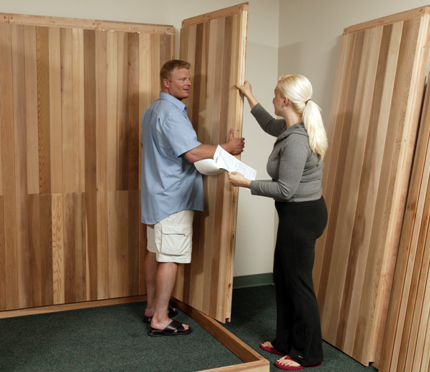 FINLANDIA Sauna Wood Doors are manufactured from the highest quality vertical grain Douglas Fir available from the Pacific Northwest. Engineered door stiles and solid rails insure long term stability. 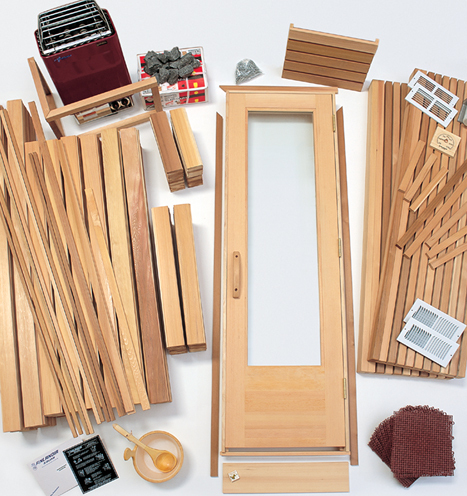 All of our wood doors are fitted with hermetically sealed, tempered, ½” insulated glass, which provides superior insulation and heat retention. Our standard FINLANDIA Sauna door is 24" x 80" and is fitted with clear insulated glass measuring 16" x 60". Standard rough opening (RO) is 26" x 82". Standard jamb is made of Hemlock with jamb width of 4 3/4". Larger jambs can be made to order. All doors available with left or right hinge. See below for important ordering information. Our exclusive glass options have been custom designed and etched by an artist. 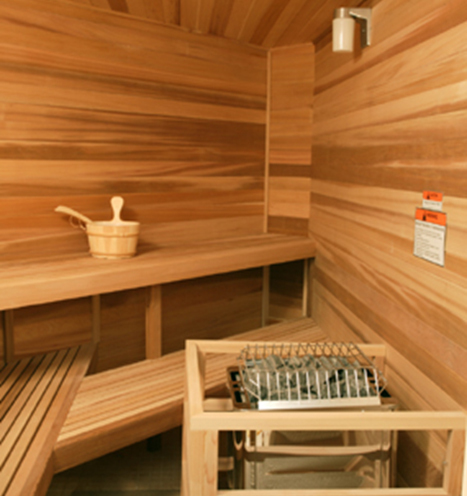 When ordering this option, you have a choice of two unique Sauna designs in positive or negative image, a choice of our beautiful Scenic Designs: Mt. Hood, Multnomah Falls, Liberty, Lighthouse, or Sailboat image. Artwork is sealed inside the insulated glass unit so that etchings are protected from smudging or scratching. Etchings are available for the 24" door size only but some custom sizes may be special ordered. There's no comparison! Our benches have the greatest strength and durability and are made from the finest materials. Finlandia’s standard benches are preconstructed for strength and durability out of 2” x 2” tops with 3/8” spacing and 2” x 4” facing. Others use 1” x 3” or 1” x 4” bench tops and some do not even pre-build their benches, but provide a pile of boards with a “How to build” plan. Tendency to Cup: None Moderate – elevates with flat grain. (Perspiration) Virtually none - narrow tops will not retain perspiration. High – due to width of boards and tendency to cup. Air circulation: Excellent – narrower boards allow greater air circulation and less water retention. Less due to the width of the boards. Advantages: Greater durability, better holding strength, neater look, and no slivers. Fastened from the bottom leaving no exposed metal to burn bather. All advantages are to the manufacturer. Cheaper to make, lower cost of materials, takes less time to manufacturer. Disadvantages: None for the purchaser. Better materials, higher costs for manufacturer. Questionable durability, will not support heavy weight, tends to sag with use, high tendency for flat grain boards to cup and splinter. Less air circulation. 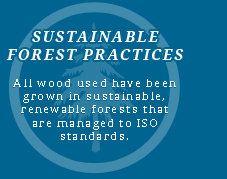 Finlandia uses sanitary Super Dek flooring as standard. We also offer Eurodek flexible slatted flooring. 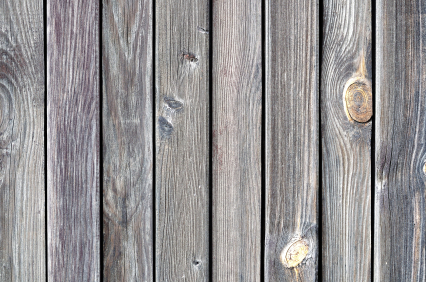 Unlike wood slats, it is easy to remove and clean. Wood slats are awkward and heavy so they are seldom removed and the floor underneath becomes an odor and bacteria collector. Super Dek and Eurodek are especially superior for commercial use.